Flat Earth has long been touted as the mother of all conspiracy theories, marginalized, suppressed and ridiculed for centuries as being an ignorant ancient unscientific worldview, but the facts of the matter are far from what you have been told. It is a fact, not a theory, that bodies of water always seek and find their own level, from a beaker, a bottle, or a bathtub, to a pond, lake or an ocean, the natural physics of water and other liquids is to find and remain level. It is an unproven, unscientific theory with no observable, measurable, or repeatable evidence, to claim that bodies of water can somehow bend, cling to the exterior of shapes, and show convexity upon their surface. It is a fact that the majority of Earth is covered in such level water, thus making it an unscientific theory to postulate that Earth is actually a gigantic sphere with bendy oceans curving all the way around it. It is a fact, not a theory, that the horizon always appears perfectly flat 360 degrees around the observer regardless of altitude. All amateur balloon, rocket, plane and drone footage show a completely flat horizon as high as we can reach, over 20 miles, or 120,000 feet up. The only time the horizon ever bends is when viewed through a fish-eye lens or a curved commercial airplane window. It is also a fact, that the horizon always rises to the eye level of the observer as altitude is gained, so you never have to look down to see it. If the Earth were in fact a globe, no matter how large, as you ascended the horizon would stay fixed and the observer would have to tilt looking down further and further to see it. It is a fact, not a theory, that we are able to observe objects at incredibly long distances far beyond what would be possible if Earth were a globe, 25,000 miles in circumference as we're told. For example, it is a fact, that in Genoa, Italy, from just above sea-level, on clear days it is possible to see the distant islands of Elba, Gorgona, Capraia, and Corsica 80-125 miles away. It is a necessary theory that the globe-Earth must curve 8 inches per mile squared if it really be a ball 25,000 miles in circumference, but based on such a theory, these islands would all be completely hidden behind thousands of feet of curved Earth. In fact, the record-breaking longest distance zoom photograph ever taken recently showed Pic Gaspard from Pic de Finestrelles a whopping 275 miles away, at a height of under 10,000 feet, where, based on correct curvature calculations, the entire mountain should be invisible behind several miles of curved Earth. It is an observable, testable, repeatable, scientific fact of reality, that Polaris, the North Pole star situated perfectly over the North Pole center of Earth, never moves a single inch, night after night, year after year, century after century, with all the other fixed stars remaining fixed in their relative constellations revolving perfect circles around Polaris. It is an unobservable, unproven, unscientific theory to claim that thousands of years ago Polaris mysteriously did move and Thuban or other stars became the center of rotation. It is also an unobservable, unscientific theory to claim that the Earth is spinning a thousand miles per hour around an axis, while rotating tens of thousands of miles per hour around the Sun, while the entire solar system circles hundreds of thousands of miles per hour around the Milky Way, and the Milky Way shoots millions of miles per hour more off through infinite space, when we cannot see, hear, feel, or otherwise observe or prove any such motion, and we can see clearly for ourselves Polaris never moving and all the other stars revolving around it. Not only that, but such circular star trails around an unmoving Pole Star prove that it is the stars themselves moving, and not the Earth. If the Earth were truly a tilting, wobbling, spinning space-ball undergoing these multiple contradictory motions through the universe, you would only see irregular spiral-shaped star-trails and the night sky would never be the same twice. It would be impossible for constellations to exist whatsoever if Earth were truly undergoing these various theoretical motions. This is just a brief introduction to the many observable, testable, repeatable, scientific facts of our level motionless plane Earth that have been marginalized, suppressed and ridiculed for centuries, in favor of various unobservable, untestable, unscientific theories purporting we live on a tilting, wobbling, spinning, ball-shaped Earth. To learn much more about this most important and highly censored topic, please follow the links to my documentary "The History of Flat Earth," as well as my books, "The Flat Earth Conspiracy" and "200 Proofs Earth is Not a Spinning Ball." 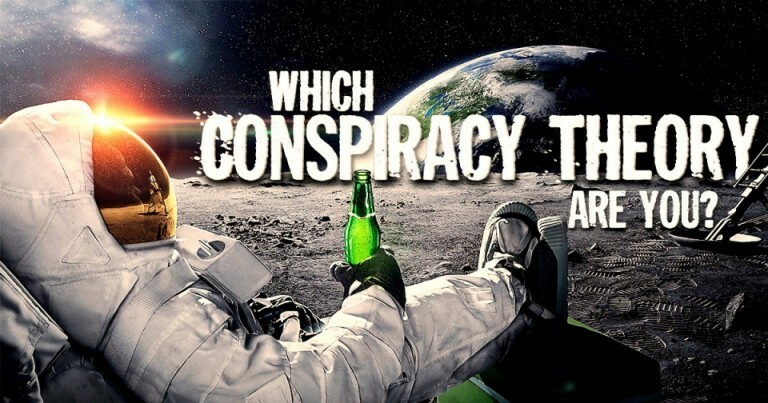 In his 2013 book, Professor Lance Dehaven-Smith showed that the term “Conspiracy Theory” was invented by the CIA in order to prevent disbelief to official government stories (spin). This term is heavily used in the Zionist Jew controlled media. Conspiracies exist. They happen. They’ve been documented. There’s laws against them. Thousands have been convicted and jailed for them. 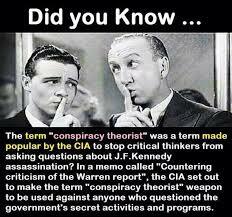 Yet for some reason the mainstream majority marginalizes the idea of conspiracies ever taking place. With conspiracy bobble-heads figure-heads like Alex Jones screaming daily paranoia and misinfo over the airwaves or David Icke always going on about shape-shifting reptilian-human alien hybrid overlords, it’s no wonder the general public scoffs at so-called “conspiracy theorists.” But what if the reality of the controlled world we’re living in truly is conspiratorial? What if the truth really is a conspiracy? Then researching and expressing this fact makes you a “conspiracy realist,” not a “conspiracy theorist.” And if you deny this fact, it doesn’t make you a “rational moderate” as most pretend, it just makes you a closed-minded, gullible, malleable, herdable, parrot in denial. what if the reality of the controlled world we’re living in truly is conspiratorial? What if the truth really is a conspiracy? From birth, almost everything you've been taught, see or think you know is a planned lie, hoax, or fraud. An unfortunate fact rears it's ugly head, in that the majority of people, want me to take hold of that tube and pump it vigorously why they slumber on!